Getting to Himakajima is the same mode as going to Shinojima, by high-speed boat. 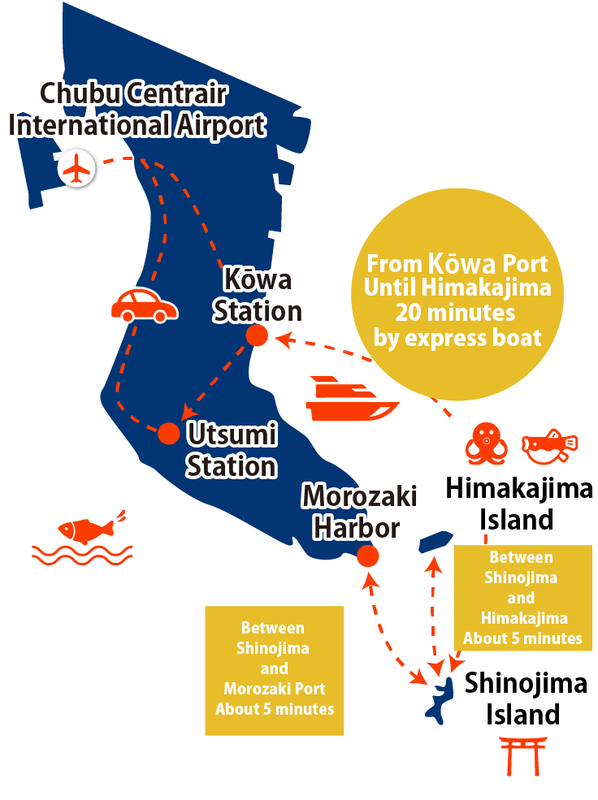 Shinojima, Himakajima, and Shirosaki Port at the tip of the peninsula, are linked by high-speed boats or sea taxis that can transport you within ten minutes. You can come and go at any time without making reservations. Because Himakajima is a small island of 5.5 km in circumference, it is possible to get around by bicycle or on foot. 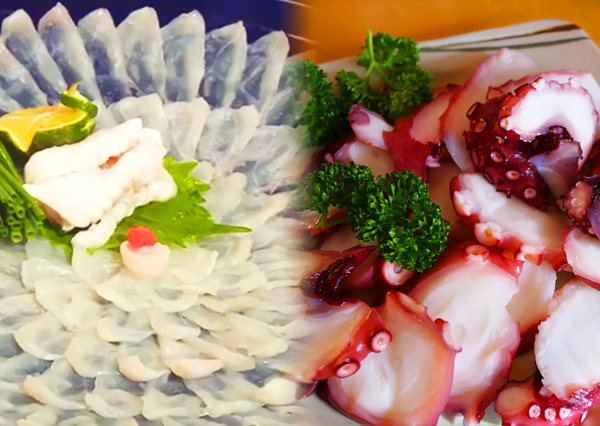 blowfish and octopus cuisine are specialties of Himakajima. The island has the largest catches of blowfish in Japan, where it is a popular dish in the winter. Freshly caught fish are inspected by those certified in the art of preparing blowfish for sashimi (tessa) and hot pots (tecchiri). Himakajima islanders have had a relationship with octopus since ancient times. Octopus motifs can be seen everywhere, such as on the lid of a manhole or on the facades of buildings. It’s the only sushi shop in Himakajima. Seasonal fish and shellfish are served on the day they are caught. 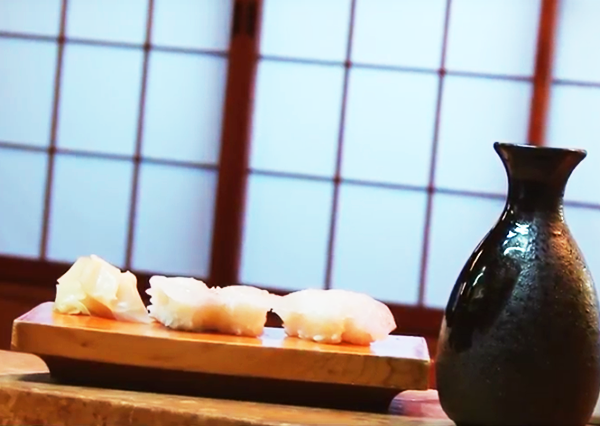 In addition to the specialties of blowfish and octopus, anago (eel) sushi is also superb. Please try sushi made right in front of you by Himakajima chefs. Himakajima blowfish specialties are usually available on the menu only from November to March, but you can eat blowfish all the time at the tourist ryokan Taikairō near Himakajima West Port. blowfish is served here in different ways, such as sashimi (tessa), hotpot (tecchiri), skin (teppi), and chicken-fried. 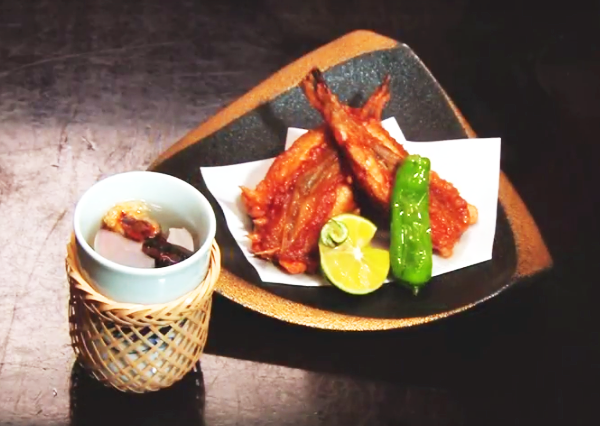 blowfish fins (hire) are roasted and fried, and put in hot sake (atsukan) to make a spirit which is acclaimed for its richness and flavor by the gourmand. 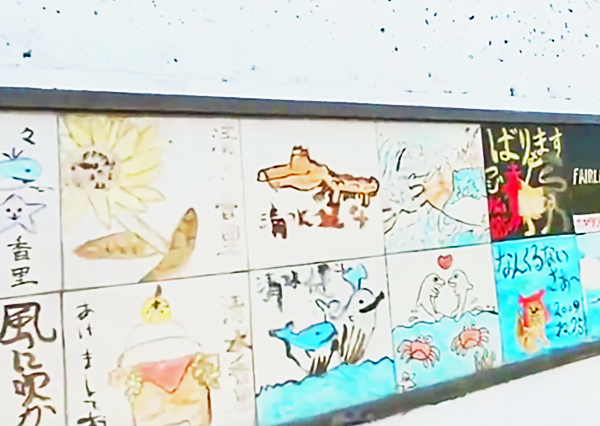 You can try tile picture-making at Gyarari Oni no Su at the center of Himakajima. Usually taking about 30 minutes, even first-timers should have plenty of time to complete a work of art. The completed tile will be displayed on the island’s Tile Art Road. Won’t you try making a tile for a memorial of your trip? In Himakajima, popular octopus dishes are offered throughout the year at all the hotels on the island, including Sun Hotel Taiyou, near Himakajima East Port. 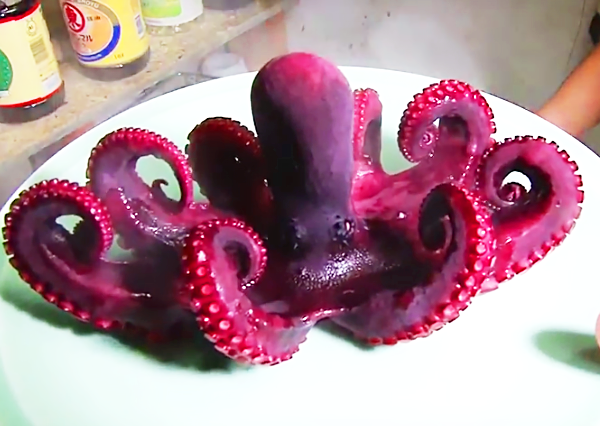 You can eat octopus in many ways, such as boiled whole (yudetako), sashimi, chicken-fried, shabu shabu, etc. Takoyaki has long been a popular fast food in Japan. 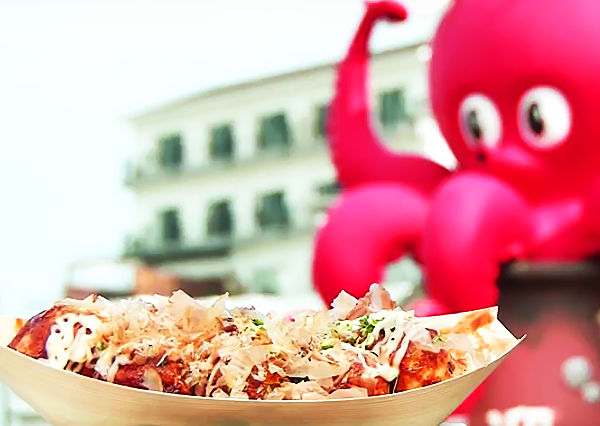 Takoyaki as well as Okinawa octopus, which is made by roasting a fresh whole octopus with shrimp rice crackers, are valued as souvenirs from Himakajima. There is a place called “Kid’s Adventures” on the eastern end of the island, and located there is Heidi’s swing. A big swing that swoops into both the sea and sky, it is also known as the “lover’s swing”. Couples ride together and shout “I love you” towards the sea so that they will be happy forever. 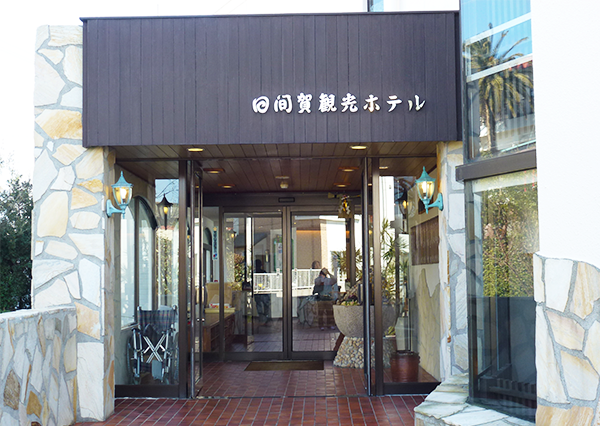 At the Himakajima Tourist Hotel, the food served incorporates Chita vegetables in their blowfish and octopus dishes. These vegetables, grown in the rich earth and abundant sunshine of the island, supplement the seafood with vitamins and minerals making the food here especially healthy.